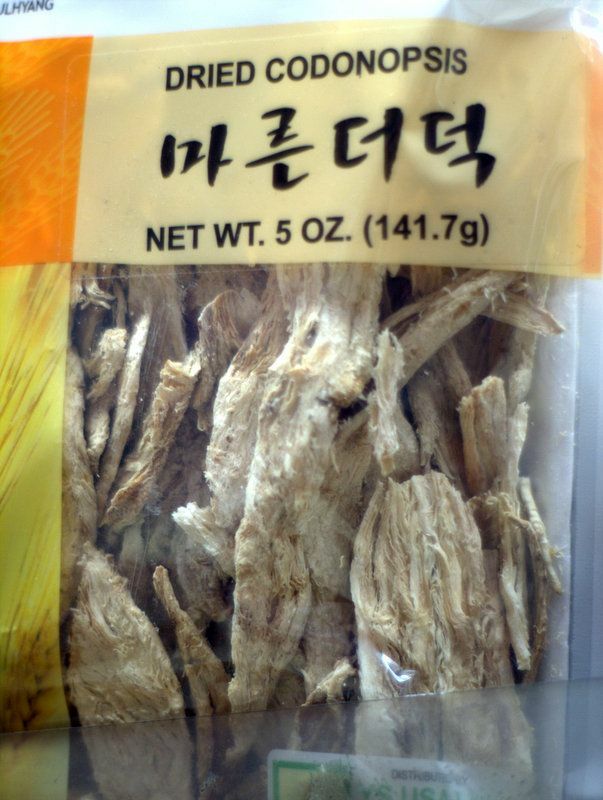 How many times have we browsed through plant catalogue descriptions padded with chatty, ethnobotanic non sequiturs like such-and-such is an edible delicacy in its country of origin? Impatient to discover whether the object of your desire is frost hardy, does such arcane information sometimes strike you as an insufferable display of useless erudition? Eat this? Don’t you dare. 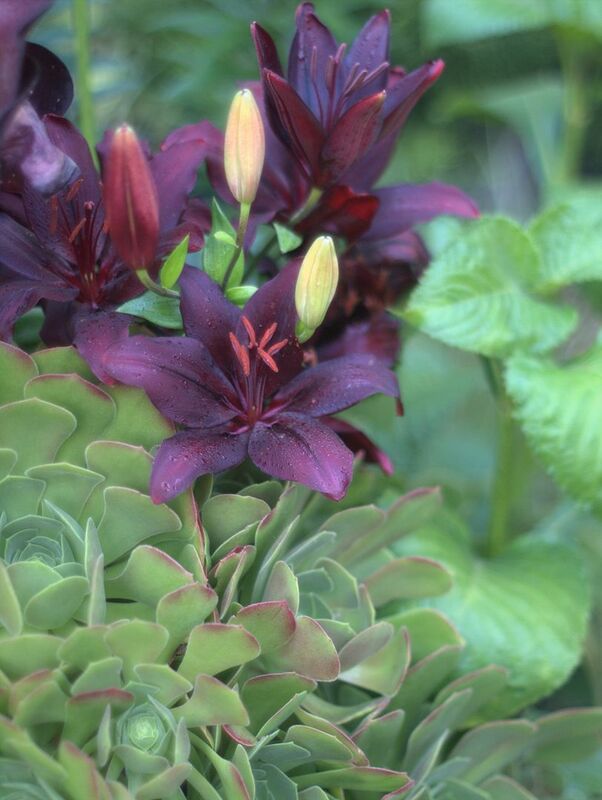 My only lily this year, ‘Black Charm’ cozying up to aeoniums for support. Take lilies, for example. Catalogues would have you believe that someone, somewhere, is growing lilies not for those soul-stirring flowers and scent but to eat the bulb. And of course it’s all true. I was recently vividly reminded that eating some plants that we consider only as ornamentals isn’t a practice remote in time or place. All these photos were taken last month at my favorite shopping destination when I work in Koreatown, Zion Market. Platycodon grandiflorus, the Balloon Flower, doraji in Korean. Lots of ways to go with this, including boiled and dried. 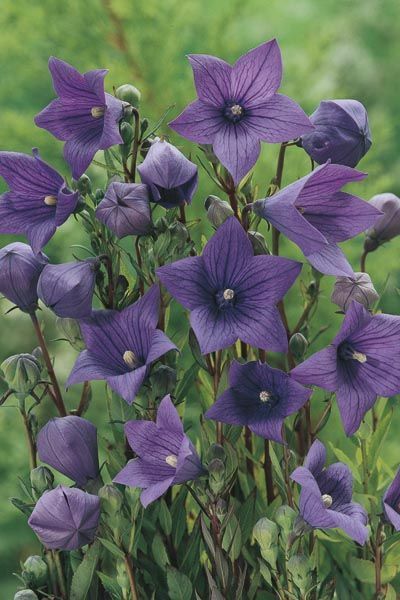 Campanulas are typically considered the bellflowers, but I wouldn’t be surprised if this is platycodon as well. There does seem to be a Campanulaceae slant to this edible theme. I did have a codonopsis phase once, spurred on by Heronswood’s wide selection under Dan Hinkley. Very dainty vines with tiny, subtle bellflowers that, as far as I could tell, hated life in So. Calif. Eating it would be the perfect revenge. The blurred line between edibles and ornamentals shouldn’t be such a surprise to me. 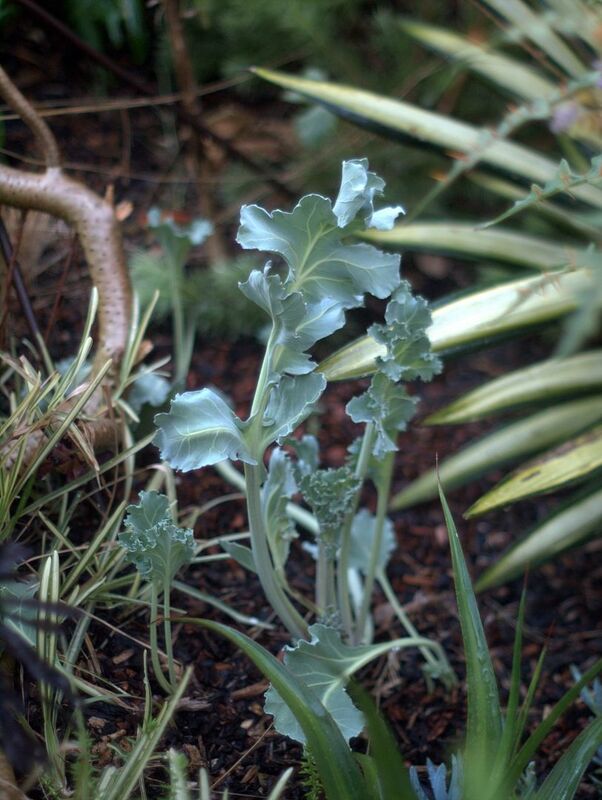 I’ve long grown two well-known edibles, the sea kale, Crambe maritima, and samphire, Crithmum maritimum, not in the vegetable plot but among agaves and grasses. 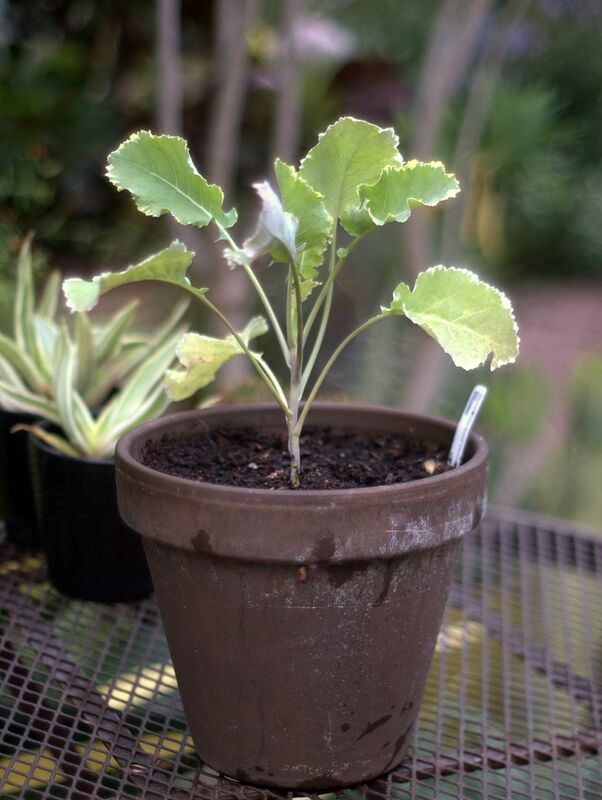 And who just went through an extensive search, at no little cost, to source the rare variegated Tuscan kale? That would be me. I still haven’t decided whether to eat it or worship it. Edible or ornamental? Depends on the eye, palate, and culture of the beholder, and we know those three things are in constant flux. 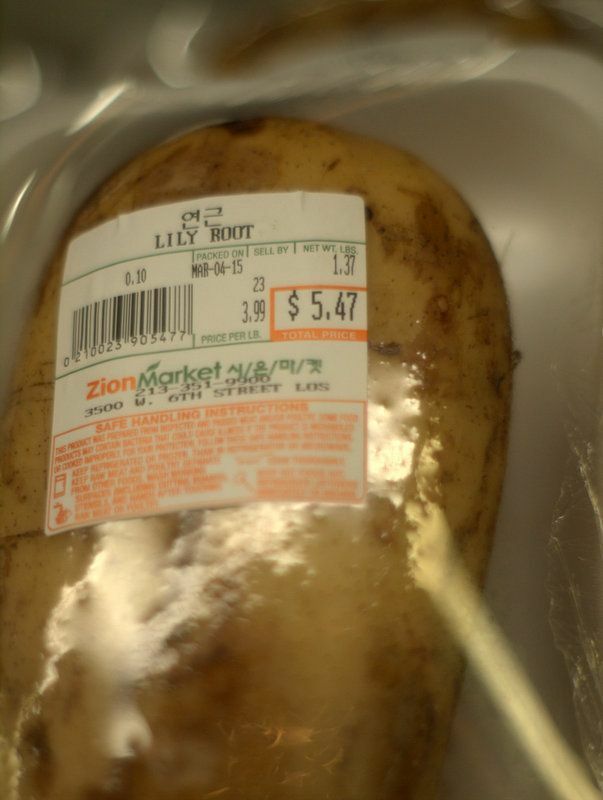 Zion Market is located roughly between Normandie and Vermont on Wilshire Boulevard. It’s improbably tucked away in a new mall at the back of the Brutalist-style Equitable Plaza. The main entrance is on Sixth Street. You could spend a half hour in the kimchee section alone. And if you want to try your hand at home-made Korean tacos made famous by Roy Choi and his ground-breaking Kogi food truck, you can find your bulgogi marinade here. I’d been raving about this market to Marty for some time (oh! the aisle-long, mulit-hued bags of rice display!) and finally was able to show him around recently. It was gratifying to see Marty utterly gobsmacked too. The fresh fish section is a wonder, and the dried fish section is no slouch either. We’re huge fans of the anchovy, especially in pasta, and there were enormous bags of dried anchovies for I know not what purpose, but we’ll have to figure something out. A few blocks from Zion Market, Roy Choi opened up The Line Hotel. 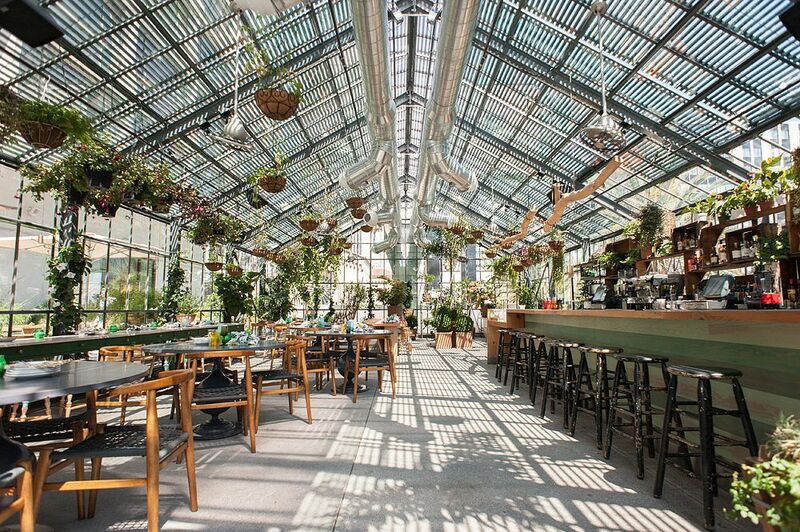 I love how the greenhouse-inspired restaurant emphasizes the source of all our food, of life itself, plants. I’ve peeked in the door, but the busy lunch crowds have scared me away so far. 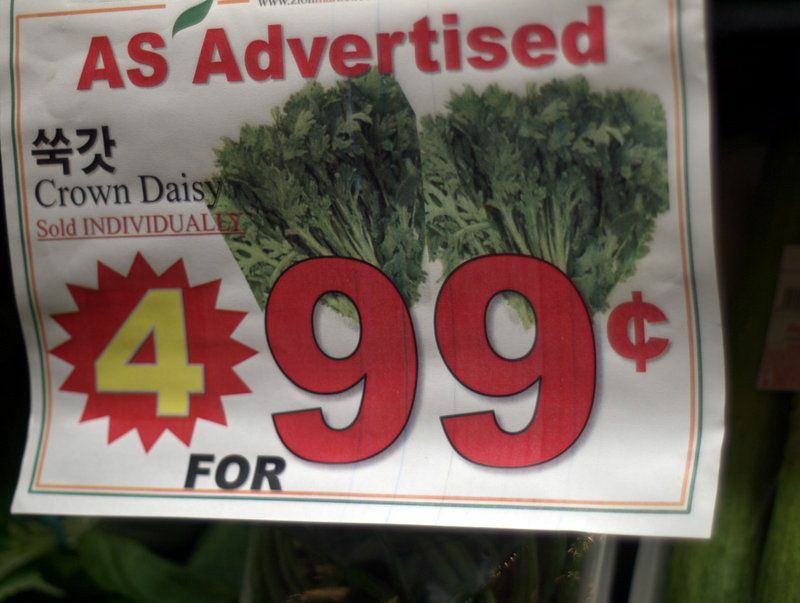 Maybe the The Commissary is serving up some tasty crown daisy. 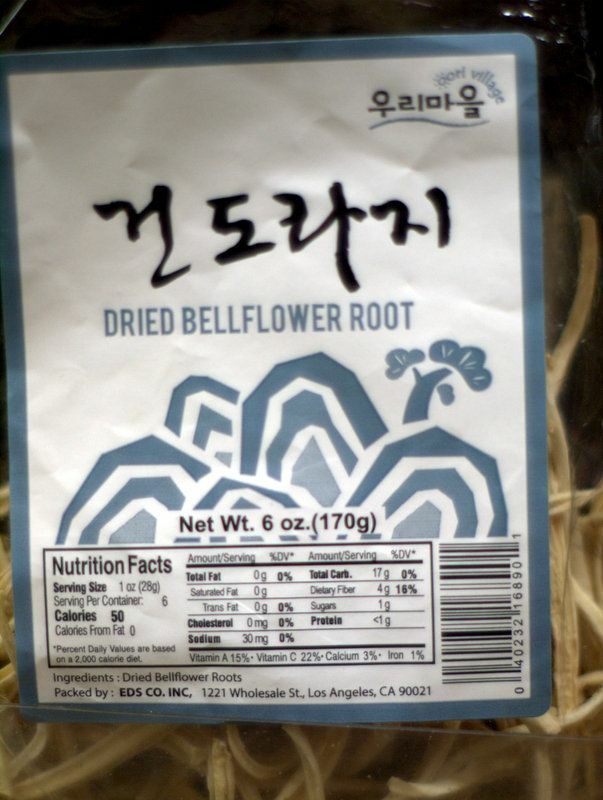 This entry was posted in edibles and tagged Campanulaceae, codonopsis, Crambe maritima, Crithmum maritimum, Koreatown, Kosmic Kale, lilies, Los Angeles, Platycodon grandiflorus, Territorial Seed Company, The Commissary at The Line Hotel, Zion Market. Bookmark the permalink. What a great post! I’m glad you limited your lineup of exotic ingredients to mostly vegetable items. I find that it’s much easier to be adventurous with something plant-based than, say, innards from some exotic animal. I am so dang squeamish (bordering on snobbish) when it comes to foreign cuisine–flora and fauna. I thought you were going to say the “lily” was the Alocasia or elephant ear. You probably know the tuber is the main ingredient in Hawaiian poi. I tried it as a kid and found it beyond ghastly. And don’t get me started on the kim chee! I don’t think I’ve ever fully recovered. I know… I should have bought the Gladiolus cardinalis. However, my rationale was that I had already purchased several species glads and still needed to get them planted. If all of those disappoint me, I’ll go back for the G. cardinalis next year. 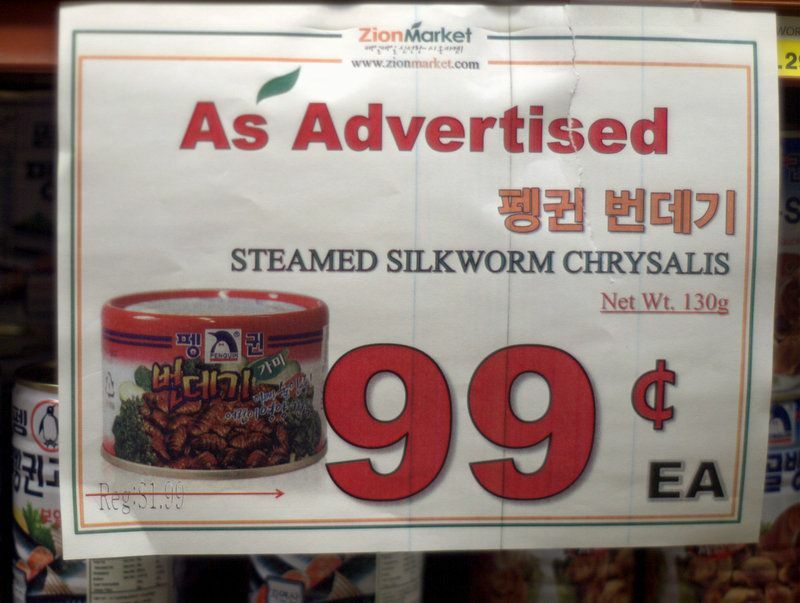 The kimchee aisle is all yours, though. Oh what fun Andrew and I would have at that market…I’m in love with a pork and kimchi stew recipe, no doubt it would be all the better with some obscure kimchi rather than our supermarket variety. I wish I knew what to do with all those bulbs and roots, the idea is hugely appealing. @Gerhard, this shopping trip had me looking up bird’s nest soup. yes, those are real bird’s nests! @Kathy, what few snails I had were finished off by a raccoon/possum a couple nights ago. @Grace, did you find the G. papilio ‘Ruby’ yet? My corms were disturbed by planting, and I’m not sure if any survived. @Loree, there’s a tiny local restaurant (Seoulmate) that makes that stew. I need to try it. @Peter, I think your own fabulous greenhouse could manage to host a few summer meals. @Amy, I took only photos! Nothing came home with me. I’m in a garden club focused on herbs. For much of the club’s existence we were pretty loose with our definitions, leaning heavily on the latter part of the “plants of use and delight” slogan. But when we planted a public herb garden five years ago, we had to get strict about the plants there all being legitimately herbal, i.e. having a use — medicinal (mostly historical), culinary, household/personal care, or industrial. So I’m delighted whenever we can add a new plant to the list via ethnobotanical documentation; my heart leaped when I saw the Platycodon, but my head is telling me that’s probably not the bellflower in question. Still, worth following up! Thanks. What a gorgeous space that restaurant is — but as you say, much more restful when not jammed with customers. Oh wait! 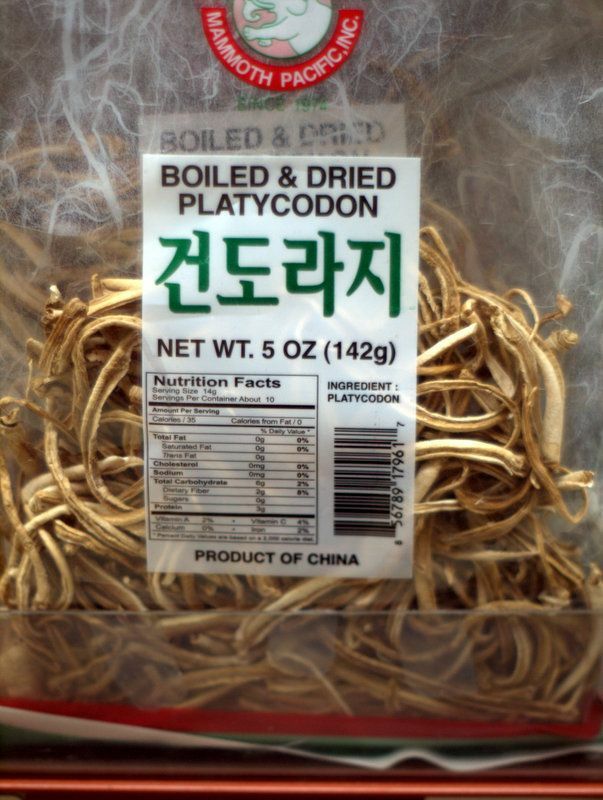 Have now read more closely and see via one of the package photos that at least one edible is legit Platycodon. I am SO stoked. One of your best posts ever, and not just because of the decorative lift you’ve given the Herb Guild public garden. Thanks also for the additional reference. 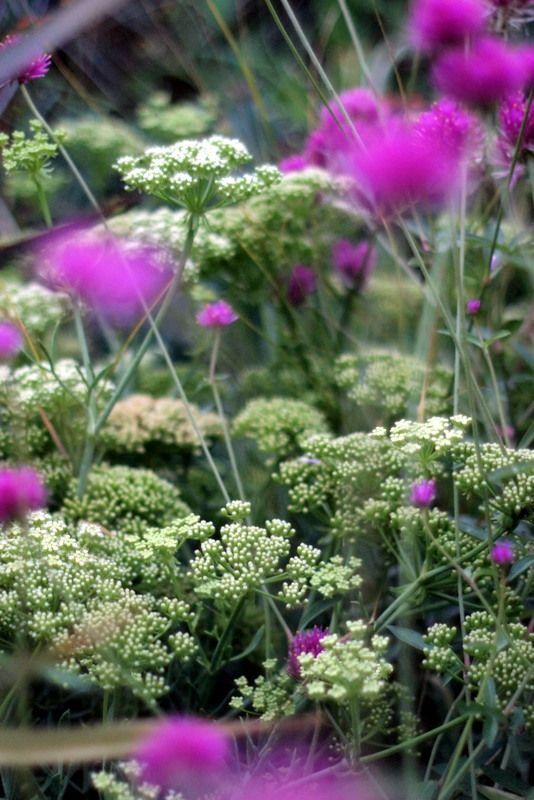 Next year, the Guild’s focus will probably be native herbs, and we’ll have a huge range to choose from, since a great many of the plants that co-evolved here (western Virginia) were used by native Americans in one way or another. We’ll be acquiring a couple of ethnobotanical tomes to use as sources, but there’s a remarkable amount of well-sourced info on the web, too. 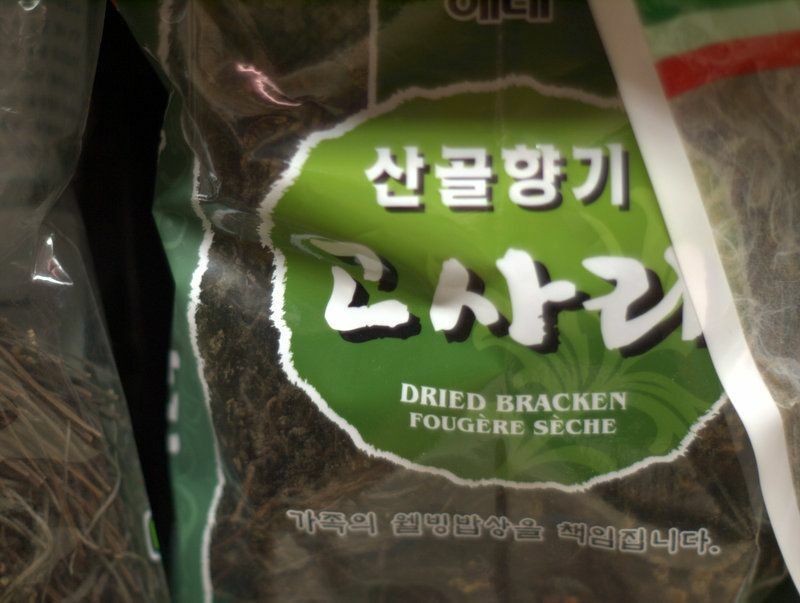 We love going to the Asian marketplace near us. All the food adventure of travel with the advantage of being able to sleep in our own bed. @Lorinda, so true! It is the best kind of culinary tourism.